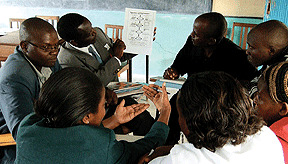 Teacher Talking (TT) Kenya 2007 – Funded by COL Protein and VSO Global education Advocacy. LearningFromEachOther yahoo group - http://groups.yahoo.com/group/learningfromeachother/ developed and moderated by Pam McLean in the UK. 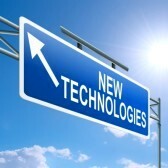 The “Teachers Talking” (about ICT) programme has wide ranging objectives. At its simplest level it is an introduction to ICT, designed specifically (but not exclusively) for rural teachers. At another level it promotes strategies for the teachers to use that are alternatives to rote learning, but can work in the resource-poor classrooms where rote learning is often used. At another level it encourages teachers to see themselves as part of a worldwide connected community of life long learners that trickles down to students and their communities. However, the ultimate objective is to enable high-flying teachers to enter into informed debate and to influence policy regarding ICT in education in rural Africa – hence the name “Teachers Talking”. The one-week workshop was a first step towards this ambitious and wide-ranging statement. Most of the participants were rural or peri-rural men and women teachers and community leaders. The participants were introduced to online opportunities for formal and informal learning. In their final presentations they outlined their plans to share what they had learned with their students, colleagues and communities, with special reference to women. We are look forward to partner with other participants in the promotion of new education and learning techniques such as collaborative learning enabled by the use of ICT's as we realise Education and learning are among the most important of all human activities and always have been the principal means of creating productive and sustainable societies. CALD Founder and TT Project Manager.